This guide will help you navigate through business articles, databases, and other resources. Hoovers(ProQuest): A great resource for company profiles, corporate executives, and competitors. Business Insights: Essentials: Need a SWOT (Strengths, Weaknesses, Opportunities, and Threats) analysis on a large publicly traded company? Do a company search using Business Insights: Essentials. There you'll find company news, corporate executives, and SWOT analysis. Mergent: Need company financials, competitors, SEC fillings? Look no further. ABI/INFORM Complete: Business, Management and Trade - scholarly and trade journal articles, dissertations, market reports, industry reports, business cases and global as well as trade news. Accounting & Tax: Articles from nearly 300 accounting and tax publications and official releases from the AICPA and FASB, plus tax-related articles from general business publications. American Accounting Association: Some full text archival access of periodicals published by this association. Barron's: Business and financial weekly newspaper containing articles and detailed market statistics. Full text coverage from 1988 to present. Business Insights: Essentials: Business, company and industry content covering the following: periodical and news articles; press releases; textual and financial company information; investment reports; brand information; market share data; industry overviews. Business Periodicals Index Retrospective provides cover-to-cover indexing for more than 1,000 periodicals including the complete file of Industrial Arts Index (1913-1957), for a unique coverage of business in the first half of the 20th Century. It is a valuable research tool for students, educators, and researchers who need answers from the history of business and industry. Business Source Complete: This database provides the leading collection of bibliographic and full-text content covering all disciplines of business, including marketing, management, MIS, POM, accounting, finance and economics. PDF backfiles for the most important scholarly business journals, trade publications and top management journals date back as far as 1886. In addition, this resource provides full-text non-journal content, including financial data, books, monographs, major reference works, case studies, industry & market research reports, company profiles, SWOT analyses and more. Cabell's Directories - Business: Cabell's is the complete source for journal info, evaluation metrics, and submission details-for universities of any size. Real impact starts with finding the right audience. Our subscription now includes "The Blacklist", which includes over 8,000 fake journals spanning numerous disciplines. CCH IntelliConnect (Tax Research NetWork): Leading federal, state, and international accounting content including codes and cases. Internet Explorer 8 users should go into Tools and turn on compatibility mode for this site. First-time users of CCH, please click here and then select "Create User ID" to get started. Chicago Manual of Style Online: Completely searchable and easy to use, The Chicago Manual of Style Online provides recommendations on editorial style and publishing practices for the digital age. Computers & Applied Sciences Complete: Covering the research and development spectrum of the computing and applied sciences disciplines, this database contains collected knowledge on traditional engineering challenges & research, and is a resource for research concerning the business and social implications of new technology. CASC provides indexing and abstracts for more than 1,800 academic journals, professional publications and other reference sources from a diverse collection. Full text is also available for more than 730 periodicals. EconLit: EconLit includes the most sought-after economics publications including peer-reviewed journal articles, working papers from leading universities, PhD dissertations, books, collective volume articles, conference proceedings, and book reviews--all expertly indexed, classified, and linkable to full-text library holdings. Energy & Power Source: Energy & Power Source is a comprehensive full-text database designed to support the informational needs of the energy and power industries at all levels. This collection provides unmatched full-text coverage of information relevant to many areas integral to the energy and power industries, encompassing all component industries within, including those focused on petroleum, natural gas, electric power, coal, nuclear power, renewable energy, and others. Govistics: Govistics is your one-stop source for spending, revenue, employment and crime data for governments across the nation. Plus, spending and revenues for school districts. Harvard Business Review: Access a premier business publication from 1922 to present. 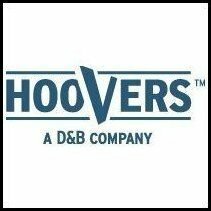 Hoover's Company Profiles: A good resource to locate company news, financials, competitors, and more. JStor: JStor means "journal storage." It is the electronic substitute for paper and microfilm. JStor is an archive of full page images of complete sets of many scholarly journals. LexisNexis Academic (now Nexis Uni): Nexis Uni provides access to full-text news, business, and legal publications, using a variety of flexible search options. New York Times (ProQuest Historical Newspapers): The New York Times (1851 until 3 years prior to present year) offers full page and article images with searchable full text back to the first issue. The collection includes digital reproductions providing access to every page from every available issue. Nexis Uni: Nexis Uni features more than 15,000 news, business and legal sources from LexisNexis—including U.S. Supreme Court decisions dating back to 1790—with an intuitive interface that offers quick discovery across all content types, personalization features such as Alerts and saved searches and a collaborative workspace with shared folders and annotated documents. Proquest Asian Business & Reference: A leading information source for students and faculty at business schools, ProQuest Asian Business and Reference™ often is used in conjunction with other business information services such as ABI/INFORM®, but it also serves as an excellent stand-alone resource. ProQuest Asian Business and Reference offers detailed information on companies, economies, markets, and overall business conditions throughout the Eastern Hemisphere. A great deal of information on international trade is available as well. ReferenceUSA: ReferenceUSA will help: search for jobs, locations & industry; track down addresses & phone numbers; locate companies large & small nationwide; profile a neighborhood or city or state. Regional Business News: With daily updates, Regional Business News provides comprehensive full text for regional business publications (including titles from Crain Communications). This database has full text for more than 50 sources. RMA eStatement Studies: Ratios, etc., for industries. ScienceDirect: Articles from scholarly journals published by Elsevier. Includes science publications and other disciplines including business, management and accounting. S&P NetAdvantage: Access to the data contained in up to thirteen S&P publications offering in-depth company profiles, industry overviews, ratings and market information. Value Line Investment Survey: Information and advice on approximately 1700 stocks, more than 90 industries, the stock market and the economy. Wall Street Journal (ProQuest Historical Newspapers): The Wall Street Journal (1889-1988) offers full page and article images with searchable full text back to the first issue. The collection includes digital reproductions providing access to every page from every available issue. Looking for scholarly articles? How about popular articles? This tutorial created by Vanderbilt University-Peabody Library will show you the difference. S&P NetAdvantage: Looking for industry overviews and market research? Try searching with S&P NetAdvantage. 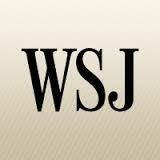 Wall Street Journal: Get access to full-text articles from the Wall Street Journal from 1984 to present.